Why Do I Need Disaster Recovery as a Service? 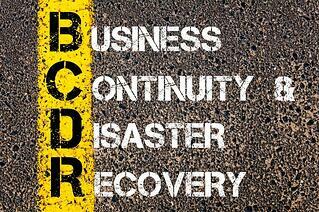 Have you heard about Disaster Recovery as a Service (DRaaS)? It’s a hot new buzzword, but is simpler than it sounds. If you want to keep your organization’s data safe from threats, both criminally perpetuated and natural, read on to find out why you should invest in DRaaS today. Unfortunately, downtime events are increasing globally, leading to lost productivity and revenue. According to one 2016 report, enterprise organizations experienced an average of 15 unplanned downtime events when compared to the prior year’s 13 events. Downtime for mission-critical applications rose to an average of 1.9 hours vs. 1.4 hours. Downtime for non-mission-critical applications lasted an average of 5.8 hours vs. the prior year’s 4.0 hours. There’s an obvious market need for DRaaS, especially in a digital world filled with cyber threats and informational breaches. To help combat these concerns, DRaaS serves to replicate your organization’s infrastructure, applications and data, copying the information to the cloud, at a relatively low cost. However, since DRaaS is still a young technology, be sure to consider all available options and service providers to ensure the right fit for your enterprise. DRaaS may be simple, but it doesn’t run on its own. "It's not like you just upload all the work to the service provider," says Richard P. Tracy, CSO of Telos Corporation. If the enterprise requires replication to a cloud environment supported exclusively by SAS 70 data centers, then the DRaaS provider better be able to demonstrate that it has SAS 70 data centers and agree to keep data in the cloud only in those facilities.” Make sure you know all the terms and requirements before deploying your strategy.